Down syndrome is the most common chromosomal variation in humans. It occurs in approximately 1 in every 733 live births. There are between 350,000 to 400,000 people with Down syndrome in the United States. It is not related to race, nationality, religion, or socio-economic status. Nothing that a parent did or did not do during the pregnancy causes a baby to have Down syndrome. While the age of the mother can be a factor, 80% of people with Down syndrome are born to parents under the age of 35, simply because women in that age group have the most babies. Down syndrome occurs evenly in male and female babies. People with Down syndrome carry more traits of their birth family than the traits of Down syndrome. A person who has Down syndrome is neither a “Downs kid” nor a “Down syndrome person.” He or she is simply a person who has Down syndrome. Down syndrome is named after Dr. John Langdon Down, an English physician who first described the characteristic features of Down syndrome in 1866. “Down syndrome” is used, as opposed to “Down’s Syndrome”, because it was named after Dr. Down. For an unexplained reason in cell development, each cell results in 47 instead of the usual 46 chromosomes. The resulting medical diagnosis is Down syndrome and is generally diagnosed as Trisomy 21, which describes the presence of all or part of an extra 21st chromosome. This extra genetic material causes changes in the orderly development of the body and brain, as well as the physical characteristics and delayed physical, intellectual, and language development associated with Down syndrome. People with Down syndrome are more like their typically-developing peers than they are different. There is great diversity within the population in terms of personality, intelligence, appearance, humor, learning styles, compassion, compliance and attitude. Although they may share characteristics and similarities in appearance, children with Down syndrome will look more like their family members than they do one another. They will have a full range of emotions and attitudes, are creative and imaginative in play, and grow up to live independent lives with varying degrees of support and accommodations. People with Down syndrome benefit from loving homes, early interventions, special education, appropriate medical care and positive public attitudes. As with all children, quality education in neighborhood schools, preschools, and at home is important to provide the opportunities needed to develop strong academic and social skills. When considering people with Down syndrome the focus should be first on the person, and second on the disability! Standard IQ tests do not measure many important areas of intelligence, and you will often be surprised by the memory, insight, creativity, and cleverness of many with Down Syndrome. The high rates of learning disabilities in students with Down syndrome often mask a range of abilities and talents. Clearly, educators and researchers are still discovering the full educational potential of people with Down syndrome. Throughout the country there are many shining examples of young adults with Down syndrome that are graduating from high-school, attending college and making their communities a better place to live. Businesses are seeking young adults with Down syndrome for a variety of positions. They are being employed in small and medium sized offices, by banks, corporations, nursing homes, hotels, and restaurants. They work in the music and entertainment industry, in clerical positions, and in the computer industry. People with Down syndrome bring to their jobs enthusiasm, reliability, and dedication. People with Down syndrome have feelings just like everyone else in the population. They respond to positive expressions of friendship and are hurt and upset by inconsiderate behavior. People with Down syndrome want the same things out of life as we do. They want friendships and opportunities to date and socialize. They want to form on-going relationships with other individuals with disabilities, as well as those without. Some get married and enjoy a rich family life, while some stay single and enjoy activities with friends. A student with Down syndrome may not be able to tell you how they feel or may be unable to readily change mental gears when offered new information or direction. This can lead to the false perception that they are being “stubborn.” Behavior is communication – individuals with Down syndrome typically face challenges with both receptive and expressive language. By implementing strategies to increase communication, this perceived behavior can be greatly reduced. Research on Down syndrome is making great strides in identifying the genes on chromosome 21 that cause the characteristics of Down syndrome. Scientists now feel strongly that, in the future, it will be possible to improve, correct, or prevent many of the health conditions associated with Down syndrome. 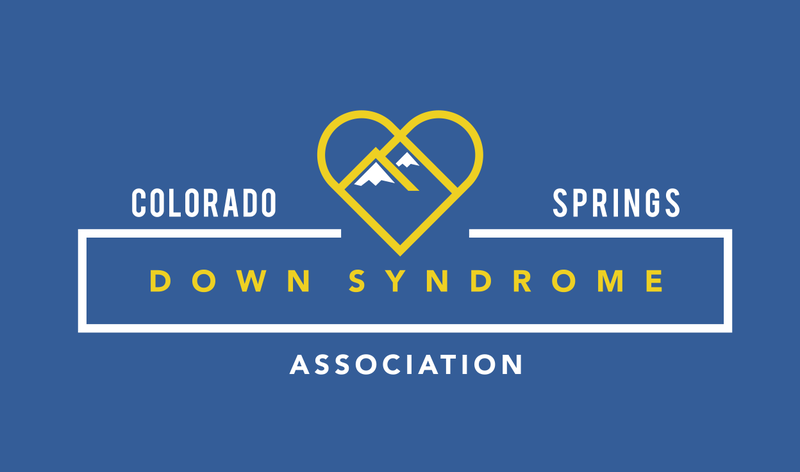 There are now many more opportunities for individuals with Down syndrome to participate in aspects of community life: education, recreation, employment, social, and family life. As the move towards community integration continues, we see more supports and services being developed that allow adults with Down syndrome to live on their own, with friends or on college campuses. Some individuals are even buying their own homes with their own money! Most families report that their “typical” kids are more compassionate, patient, and tolerant of all people because of their experience of having a sibling with Down syndrome. The sibling relationship is generally a typical one – full of love, occasional arguments, and just being together.